This Accord was developed in-house, and is meant to capture a sea-salt meets bath salt character. 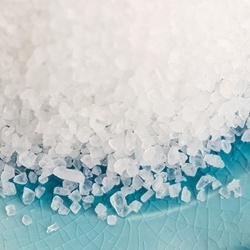 We tried to incorporate the clean refined concept of salt, but to also give it a fresh spa-like quality that will compliment marine, sporty, and clean fragrances that want that 'salt' note. Fragrance Formula; Available only in our Key Accord Creation Workshop (In-House).